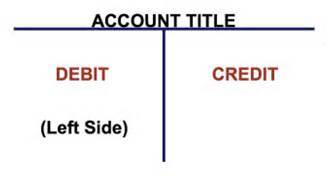 I'm a student and I have a bookkeeping question I have to do a T account the question is If I paid 400 in rent Do I do 2 T accounts 1 for expenses and I'm not sure where the other goes on the chart of accounts. The two accounts affected would be Cash (an asset), and Rent Expense. Therefore you would debit Rent Expense $400, and you would credit Cash $400. When you are first learning, expenses can be tricky to understand from a posting perspective. Remember paying Rent is an Expense because it was already used to help run your business. There is, sometimes, a Prepaid Rent account. This is an Asset, not an expense, because it will benefit the business in the FUTURE...it hasn't been "used up" yet like a Rent Expense.